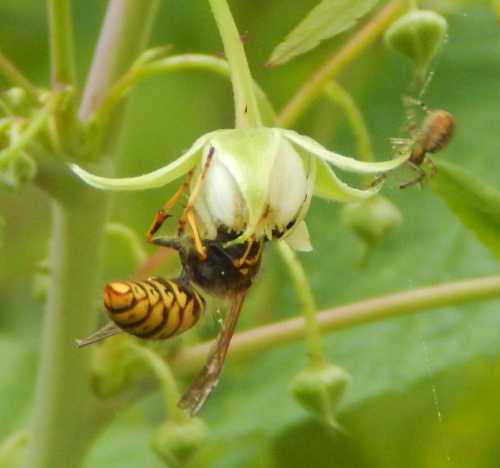 Insect pollination is also known as ‘entomophily’, which describes the pollination process whereby pollen is transferred from one flower to another by insects. 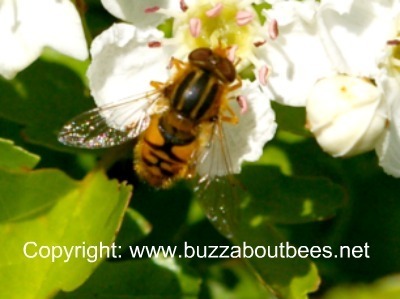 It’s estimated that over 84% of crops in Europe are dependent upon insect pollination. Insects are vital not only to the ecosystem, but also to global food supply for humans. I have already written about bee pollination here. But what about the role of other insect pollinators? 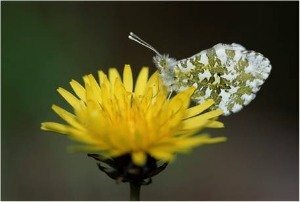 In my page about flower pollination, you can read how flowers are adapted to attract their ideal pollinators (pollination syndromes). Beetles and flies, for instance, pollinate a very broad range of flowers, and some species may even visit plants that emit a foul stench that would deter other pollinators from visiting! Butterflies and moths, like bees, are attracted to sweet, delicate fragrances. Moths are important pollinators of night scented flowers such as evening scented stocks. 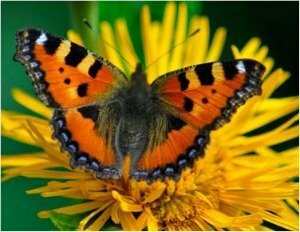 How Much Is Insect Pollination Worth? 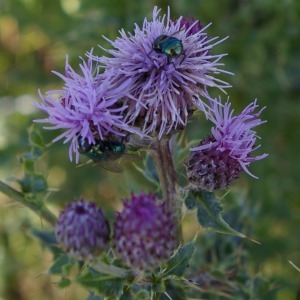 Attempts have been made to put a financial value on insect pollination. However, ascribing a value to insect pollination is not easy. When we get hung up on finances, I fear we get worryingly close to 'appreciating the price of everything and the value of nothing'. I feel we tend to see things in light of how much they are directly relevant to humans, whilst ignoring the much wider value, and the interconnectedness of the great web of life on earth. Anyway, in October 2010, the United Nations released a report: The Economics of Ecosystems and Biodiversity, in which insect pollination was valued at £134 billion (153bn Euros). Of course, the role of pollinators is priceless, but due to the society we live in, it seems just about everything is categorized and measured in terms of financial assets. 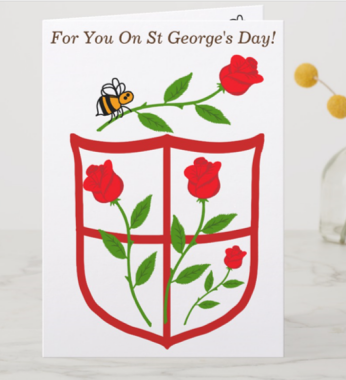 "Not a single bee has ever sent you an invoice. And that is part of the problem - because most of what comes to us from nature is free, because it is not invoiced, because it is not priced, because it is not traded in markets, we tend to ignore it." Therefore, it is no surprise that unfortunately, the natural world should have to be assigned its supposed “monetary value”, simply in order for some sectors of society to appreciate it, even though perhaps it could be said that too many humans don’t fully understand the natural world yet! 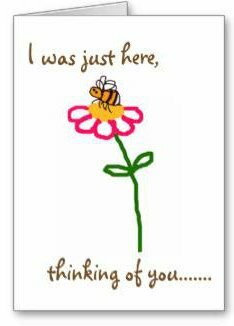 This is proven by the fact, that scientists are forever making new discoveries, even about the comparatively well-researched honey bee! Thus, it is ironic and unfortunate that we should have to attempt to assign financial value to the natural world, when we know so little about it! “…in Europe, a region better studied than most, about 250 plant species are grown as crops. Of these, about 150 are thought to be insect pollinated, but for most we do not know which insects pollinate them, or whether yields are being limited by inadequate pollination". 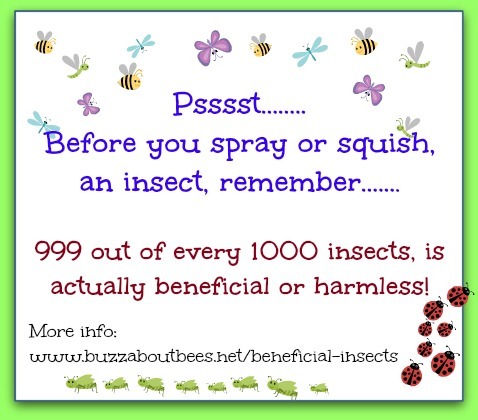 In light of the widely reported demise in insect populations, this is a worrying thought. It means we do not fully understand the consequences of losing different pollinator species. 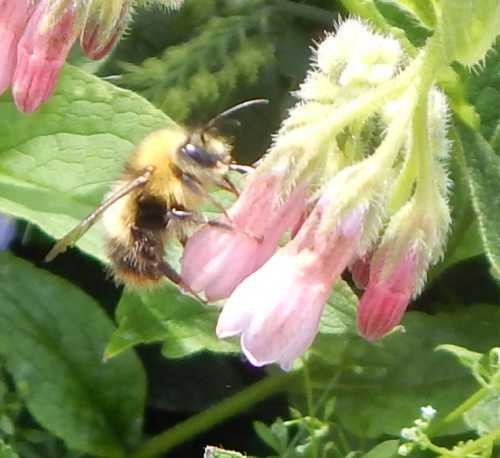 - 24% of Europe's bumblebees are believed to be facing extinction according to one report. - 58 butterflies & moths are also on the US Red List. (Source: Xerces). - 3 species of bumblebee have become extinct, and of the remaining 24 species, 2 are critically endangered, and 10 are in very serious decline. This includes 5 species that were common in the 1980s. (source: Bumblebee Conservation Trust). Various government initiatives have been launched across the world to address and investigate pollinator decline. In the meantime, it is very important that people understand where their food comes from, and its dependence on the eco system that enabled the food to be put on their plates. If people lose this understanding, this can lead us to take man's most precious helpers in nature for granted. The result can be (and I feel, has been), the ignorant abuse and disregard of other living species, that in the end is detrimental to mankind too. We can all help, by supporting pollinator conservation initiatives, and growing plants and flowers for pollinators. Think twice before using pesticides, and take a look at these 10 tips to help save the bees, many of which will be beneficial to insects and insect pollination as a whole. You can also ask your council to get involved. Lots of information here about bee pollination, including the importance of the different types of bees. 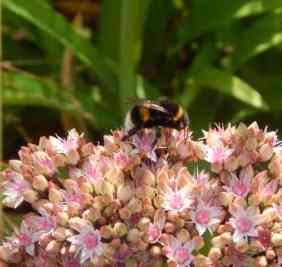 Further links to information about the different types of plant pollination, including the pollination process. 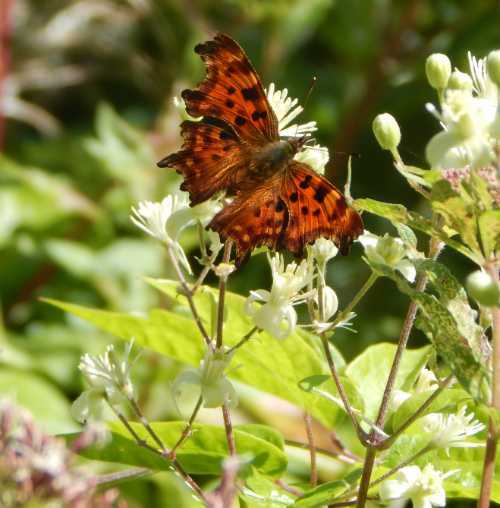 Also, find out how flowers attract their perfect pollinators. Discover more about the causes of pollinator declines, especially bees. Take a look at these calendarized lists of great bee plants, many of which will attract many other insect pollinators. Learn about the life cycles of the different types of bees here. How about a bit of fun - why not test your knowledge with a bees quiz! 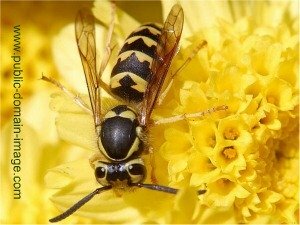 Not many people like wasps, but they have an important role in the ecosystem! Why do bees need nectar and pollen?